A marketing consultant and web design firm based in Atlanta Georgia and a Infusionsoft Certified Partner that focuses on helping small businesses for them to grow. What Website Design solution do you use? DSS is an inbound marketing software with CMS/CRM capabilities that allows you to take your business to the next level.Manage your website, clients, email marketing, client feedback and reviews, social media posting, lead tracking and follow up campaigns in one easy to use tool! Stop taping solutions together and use one smarter tool. Brio is a leading Israeli User Experience Design firm, founded in 2008. Rand Internet Marketing, provides professional website design, development, and programming in addition to online marketing services to hundreds of national and South Florida-based businesses. Elogia is a digital agency specializing in digital commerce marketing. Orbit is a team of web designers and developers, project managers, and web strategy specialists. Nuanced Media is a full-service digital marketing agency with more than 25 years in the new media arena. We help organisations radically improve their websites and create exciting new digital products. We combine a unique lean approach with our knowledge of human behaviour and the principles of user-centred design. Includes layout design from scratch, CMS-based designing, PSD to HTML and responsive template design. These custom designing works are completed with extra dedication & creativity. Dealer Spike is a digital advertising company helps dealers to increase sales and service profitability through online digital advertising. 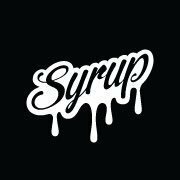 * We monitor all Syrup reviews to prevent fraudulent reviews and keep review quality high. We do not post reviews by company employees or direct competitors. Validated reviews require the user to submit a screenshot of the product containing their user ID, in order to verify a user is an actual user of the product. Hi there! Are you looking to implement a solution like Syrup?